Well, school has officially started! Yikes! It has been a very stressful two weeks, but I am surviving! I am not going to lie, I am really missing my summer and all of the reading that I did. As you will see below, I read 10 books in two months!! It felt so good to just read, escape, and have such great reading experiences this summer. Have you read any of these books? What do you think? I am always willing to chat about books! Summary: A bizarre chain of events begins when sixteen unlikely people gather for the reading of Samuel W. Westing's will. And though no one knows why the eccentric, game-loving millionaire has chosen a virtual stranger - and a possible murderer - to inherit his vast fortune, one thing's for sure: Sam Westing may be dead... but that won't stop him from playing one last game! My thoughts: Great middle-grade/YA read. Great characters and interesting plot. This is something my students would love. Would be a great read-aloud book (may need to have students write down characters to keep track of them!). Summary: Lina is just like any other fifteen-year-old Lithuanian girl in 1941. She paints, she draws, she gets crushes on boys. Until one night when Soviet officers barge into her home, tearing her family from the comfortable life they've known. Separated from her father, forced onto a crowded and dirty train car, Lina, her mother, and her young brother slowly make their way north, crossing the Arctic Circle, to a work camp in the coldest reaches of Siberia. Here they are forced, under Stalin's orders, to dig for beets and fight for their lives under the cruelest of conditions. 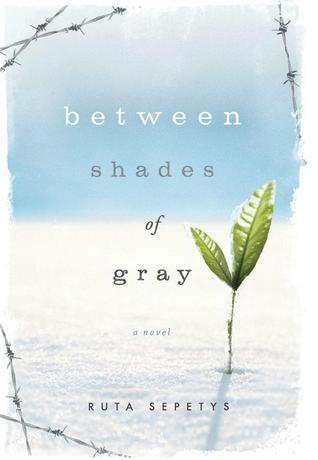 My thoughts: Such a fantastic novel--No, nothing to do with the other Shades of Gray Series 😜. The research behind this novel was prevalent while reading this book. This book was quite an intense, heavy novel. At times, it is pretty depressing, sad and brutal. With that being said, I loved the characters in this novel. I loved Mama and Lina, two of the main characters. They are such strong women. I didn't love the ending, but it definitely was realistic. Great read and absolute page turner. I was a little embarrassed that I did not know much about the history of this story. I am glad that my eyes were opened to me through this beautiful book. Summary: The monster showed up after midnight. As they do.But it isn’t the monster Conor’s been expecting. He’s been expecting the one from his nightmare, the one he’s had nearly every night since his mother started her treatments, the one with the darkness and the wind and the screaming…This monster is something different, though. Something ancient, something wild. And it wants the most dangerous thing of all from Conor. It wants the truth. My thoughts: Oh my goodness. 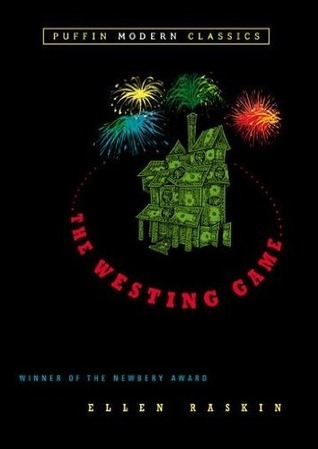 Truly one of the best YA novels I have ever read. I thought it was written beautifully, the story was interesting, and themes explained were undeniable. I love the figurative language and themes that you learned as a reader (and that the main character learns). You definitely need to read it WITH the pictures. I feel like it makes the story even more beautiful. Read it in two hours. Loved it. Favorite Quote from the book: “You do not write your life with words...You write it with actions. What you think is not important. It is only important what you do. Summary: Identify and change the self-sabotaging beliefs and behaviors that stop you from getting what you want, blast past your fears so you can take big exciting risks, figure out how to make some damn money already, learn to love yourself and others, set big goals and reach them - it will basically show you how to create a life you totally love, and how to create it NOW. My thoughts: Meh. Definitely not my favorite self-help book. I definitely thought it was enjoyable, but I felt like she didn't explain anything that I hadn't read/heard/worked on before. I felt like, for me, most things were aspects of my life that I am already working on, if that makes sense. There was nothing life changing or altering about the info she gave to me. 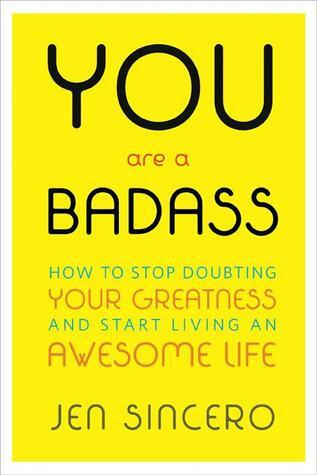 A good self-help book if you haven't read many others before, though. Summary: The more time Serena Miller spent in Holmes County, Ohio, doing research for her popular Amish novels, the more she began to notice something—Amish children were the happiest children she’d ever seen. Despite not having modern toys and conveniences, they are joyful, serene, calm, and respectful—not to mention whipping up full meals and driving buggies before most of us will allow our children to walk to school alone. 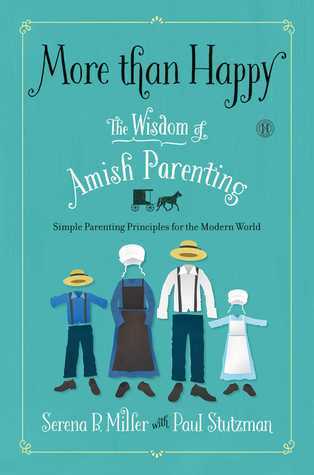 And yet, when she started asking questions about what these parents were doing differently, she was startled to learn that happiness is not a goal Amish strive for at all. My thoughts: Oh my goodness! I LOVED this book. This was not something that I would have chosen on my own, so I am happy we read it for book Club. Others did not seem to love this book as much as I did while at book club discussion, but I thought this book was incredibly fascinating. I thought there were so many helpful and great ideas. I don't believe you have to be Amish to follow a lot of their parenting ways and basic lifestyles. I genuinely want to take so many of their ideologies into my future parenting. Great book. I love some of their views and there were many aspects that I want to use for my own future children. I am ALL about the community feel of raising children. 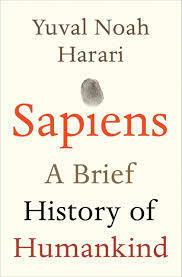 Summary: In Sapiens, Dr Yuval Noah Harari spans the whole of human history, from the very first humans to walk the earth to the radical – and sometimes devastating – breakthroughs of the Cognitive, Agricultural and Scientific Revolutions. Drawing on insights from biology, anthropology, paleontology and economics, he explores how the currents of history have shaped our human societies, the animals and plants around us, and even our personalities. My thoughts: I don't know if it's because I tried to listen to this, but I was so incredibly bored. The information itself was so fascinating, but I could not get through even half of it. Maybe I'll try again later. I'm a nerd and love this kind of stuff, so I'm surprised I didn't enjoy it as much as others have (especially because it has such a high rating). The information was fascinating at moments. Overall, though, was just bored. Summary: Why do some people succeed and others fail? 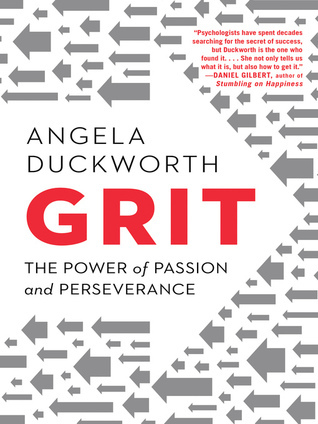 Sharing new insights from her landmark research on grit, Angela Duckworth explains why talent is hardly a guarantor of success. Rather, other factors can be even more crucial such as identifying our passions and following through on our commitments. My thoughts: Great book! It is one that I would recommend to anyone: parents, teachers, businessmen and women, etc. I think this is an important quality that needs to be taught and talked about more. The only reason I gave it a 4 was because I felt like she could have explained things in half the amount of time. She repeated herself a lot. A great book, nonetheless. Summary: Clementine and Erika are each other’s oldest friends. A single look between them can convey an entire conversation. But theirs is a complicated relationship, so when Erika mentions a last minute invitation to a barbecue with her neighbors, Tiffany and Vid, Clementine and Sam don’t hesitate. Having Tiffany and Vid’s larger than life personalities there will be a welcome respite. Two months later, it won’t stop raining, and Clementine and Sam can’t stop asking themselves the question: What if we hadn’t gone? My thoughts: This was an interesting read, but definitely not Liane's best novel. I felt like she dragged it out too long. 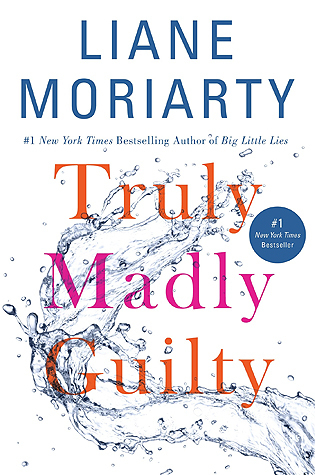 It did not catch my attention from the get go like her other novels (and it took quite awhile for me to get "into"). Summary: In this generation-defining self-help guide, a superstar blogger cuts through the crap to show us how to stop trying to be "positive" all the time so that we can truly become better, happier people. 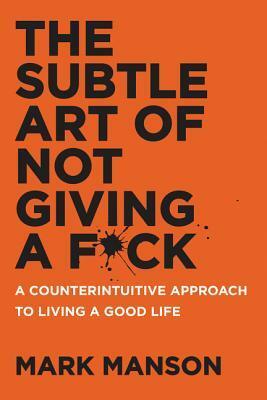 My thoughts: Obviously this novel has a lot of F words (duh), but other than that, I really enjoyed what Mark Manson had to say and his outlook on life. This is one of the most "real, authentic" self-help books that I have read in a long time (maybe it's because I am cynical. Ha, but it was refreshing. I found myself nodding along multiple times. Great novel if you aren't afraid of some swear words! This, for me, is worth reading again and highlighting. He had so many great points. Summary: Ruth Jefferson is a labor and delivery nurse at a Connecticut hospital with more than twenty years' experience. During her shift, Ruth begins a routine checkup on a newborn, only to be told a few minutes later that she's been reassigned to another patient. 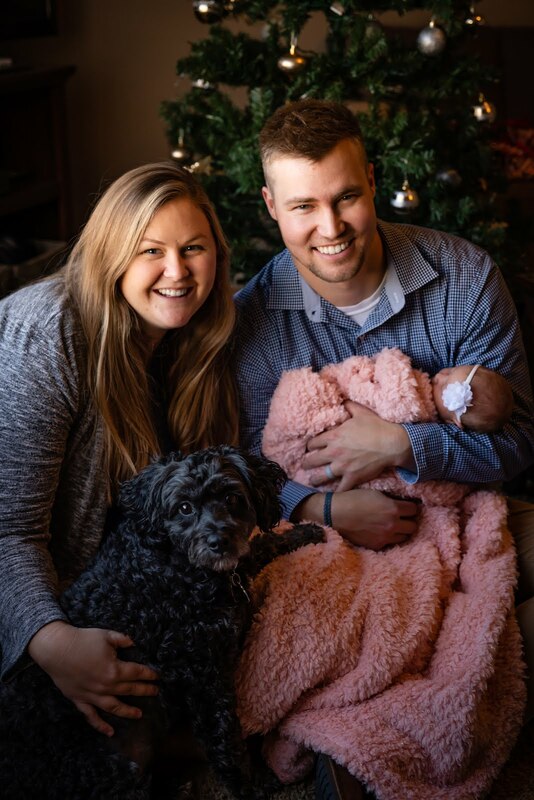 The parents are white supremacists and don't want Ruth, who is African American, to touch their child. The hospital complies with their request, but the next day, the baby goes into cardiac distress while Ruth is alone in the nursery. Does she obey orders or does she intervene? My thoughts: Seriously one of the best books I have read over the past few months. 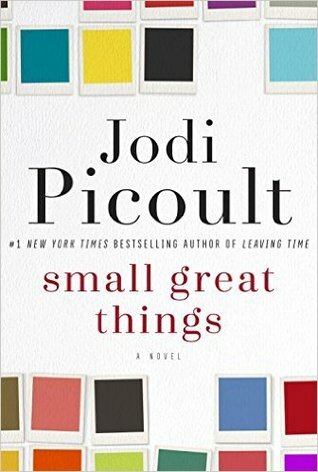 Small Great Things was heartbreaking, intense, and definitely thought provoking. It was a novel that honestly changed some of my own views and thoughts regarding race. A beautiful, complicated novel that everyone needs to read. Labels: bon's book club, book club, book reviews, books, novels, reading, sierra's book reviews, summer reading. 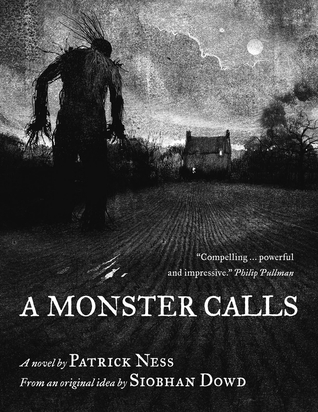 Ok I'll definitely have to read A Monster Calls. Have you read his Chaos Walking series? Such good books! I'm sure this one is great, too!